Lucyna Artymiuk was born in Melbourne in 1961. Her parents were war migrants, her father having arrived on the SS Strathnaver in 1948 while her mother having migrated to Australia in 1958. Lucyna was brought up in a bilingual and bicultural home with extensive exposure to the Polish community as her parents were both active in organisations and were also highly visible within community structures. During her childhood Lucyna displayed an interest in writing and and literature which led her to her tertiary education at Monash University where she completed a Bachelor of Arts with first class honours in comparative Slavic literature. Her honours thesis was on Stanisław Wyspiański’s “Wesele”. She was granted a post graduate scholarship and commenced work on a Master of Arts which she did not complete, turning instead towards a professional career in the public service where she focused on multicultural affairs and work with ethnic communities. 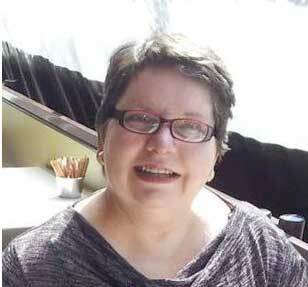 Lucyna is best known for her extensive activities within Polish community organisations in Australia. From her teenage years she was involved in scouting and was one of the initiators of a youth group within the South Eastern and eastern suburbs of Melbourne. From her early adult years she was extremely active in the Polish community in these suburbs following in the footsteps of her parents. She founded and developed the library at the Polish community centre in Rowville. She taught Polish as a second language to adults and was also involved within the eastern districts Polish Association as secretary. She extended her interest in multicultural affairs to being on the committee of management of the South Eastern migrant resource Centre. Further to this she was part of the executive of the Polish community Council of Victoria having responsibility for the management of the welfare bureau. Subsequent to this she was elected to two terms as vice president of the Polish community Council of Australia. For many years she displayed an interest in Polish Jewish relations leading to her being one of the cofounders of the Polish Jewish discussion group “Dialog”. Both her professional and personal activities within this field were recognised by being granted the Henryk Slawik award by the Australian Society of Polish Jews and descendants which is bestowed upon an individual who, or organisation that, contributes to a greater understanding of the unique and dynamic contribution by the Polish Jewish community to the all-embracing Polish culture and ethos. More recently she has focused on history and genealogy being active in the Polish Museum and archives in Australia and with extensive research into her own family history which has led to her this book, which is a publishing debut of the author “From Poland to ‘Wherever in the World'”. It is the reconstruction of her father’s life story through research, serendipitous discoveries of family correspondence, documentation and photographs, in conjunction with oral history and interaction with family and friends. “Wherever in the world’ was what Polish airman Jan Artymiuk noted when asked where he wanted to settle after the war. 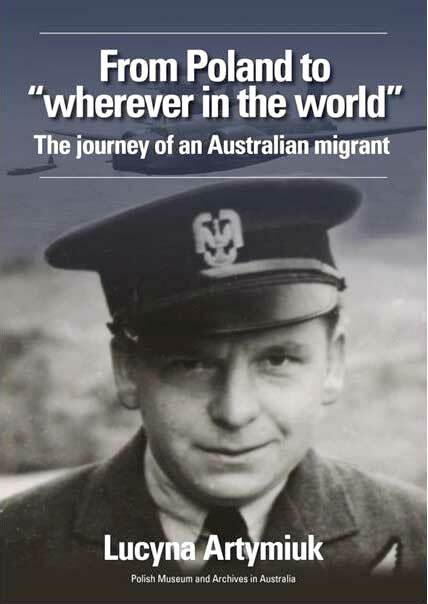 This biography, written by his daughter, Lucyna Artymiuk, tracks the life of the farmer’s son from near Radzyń Podlaski, to a professional career in the pre-war Polish air force, his escape through Rumania to England in 1939, his experiences in POW camps and then his eventual migration and life in Australia. The book not only provides a detailed life journey but also the historical background which impacted on his life and decisions.